Serving our children since Sept 21, 1921, Roanoke Rapids High School is a treasure for our community. Built by renowned New York architect Hobart Brown Upjohn, the school has served generation of families in Roanoke Rapids, NC. Their mission is that every student will graduate from high school ready to enter the workforce or post-secondary education as a responsible and respectful member of a diverse society. With 95 years of graduates to its credit, generations share many great memories created in this historic structure. It is this brick and mortar that has kept decades of students strong, steadfast, and bonded to this school and to this community. They are the “Faithful and True Hearted". 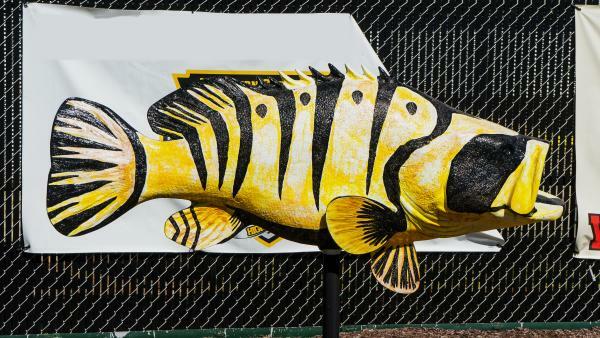 Today the “Yellow Jacket” Rockfish stands guard at the entrance of Hoyle Field home of the Might Yellow Jacket Football team.